Japanese Army. Via Wikipedia Commons. Iida was commander of 15 Army at the outbreak of the Pacific War. His headquarters was ordered to direct the occupation of Thailand and conquest of Burma. Since the Burma operation was not to take place until the second phase of the Japanese offensive, his army was little more than a skeleton until mid-January of 1942. 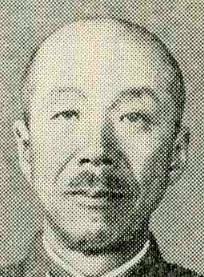 On 8 April 1943, Iida was relieved as commander of Burma Area Army and recalled to Tokyo. He retired in 1944, but was recalled in 1945 to command 30 Army in Manchuria. He arrived at his new command just in time to be captured by the Russians, who did not repatriate him until 1950. I had found him to be a unique type of Japanese soldier, human, fatherly, and very understanding, a militarist on the surface but not altogether so deeper down; at least he always tried to see things your way too, which was what made him different from the other militarists.... The general was a samurai in his almost mystical devotion to his emperor, his warrior caste and code, and his country, but this very devotion which consumed him made him understand the devotion of others to their own gods.